As you view the video advert, notice Kei play testing the racket designed for forceful power and enormous topspin, while the rooftop court at Wilson Labs barely contains each shot. The Burn was created for baseliners, complete with a feature set that includes a carbon fiber frame that’s specially engineered for the task, including a larger sweet spot, rounded hoop for aggressive vertical swings and a longer handle for two-handed backhands. 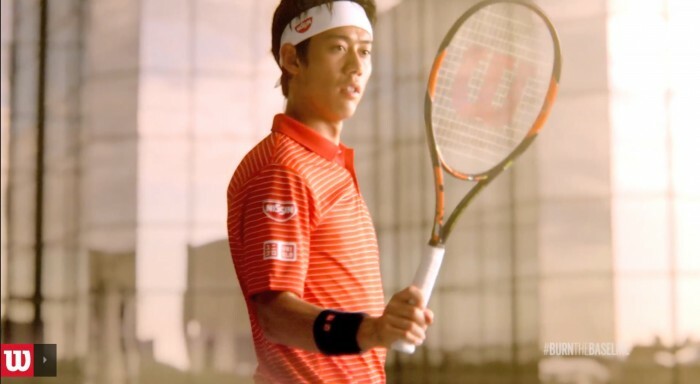 Wilson Tennis and Japanese superstar, Kei Nishikori, the 2014 U.S. Open winner, have partnered up on “The Burn” racket. Review the full breakdown of key features and sports tech here. 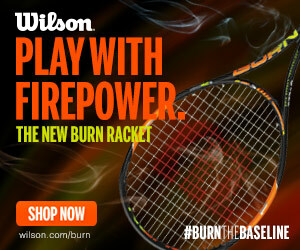 Wilson Tennis, the new Burn racket. 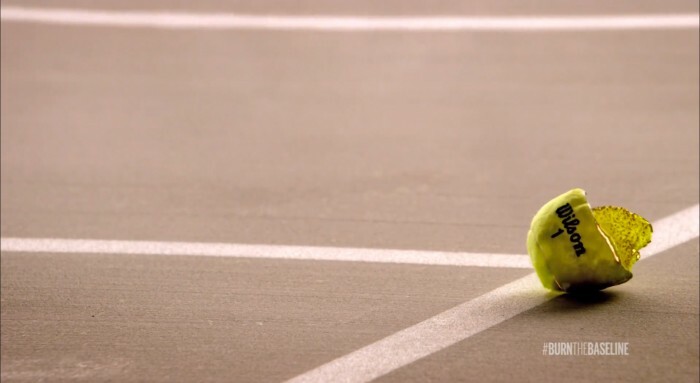 Sports Techie, the Wilson Tennis marketing campaign to show the sport world how you #BurnTHEBaseline with the hottest new racket on the court is under full swing. Tag your Twitter photos with the hashtag #BurnTheBaseline and the tweet might end up on the Wilson website for all level of fans to engage with. Kei is the first Asian male to win a Grand Slam and also be ranked in the ATP World Tour top ten. Nishikori’s current 2015 ranking is number 4 in the world. Kei moved from Japan to train at the IMG Bollettieri Academy in Florida and spoke no English when he came to America at age 14. 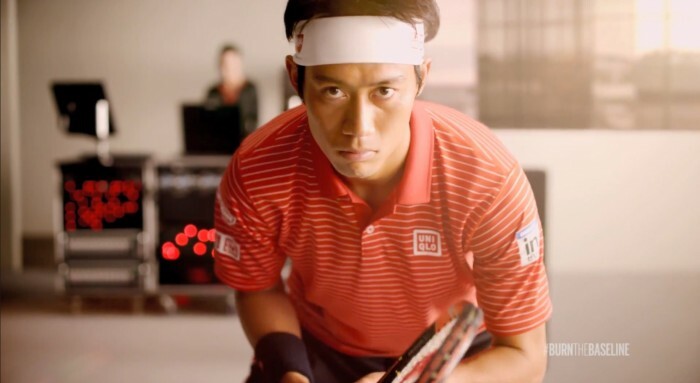 Nishikori was sponsored by the CEO of Sony, makers of the Smart Tennis Sensor, sports technology component of The Burn. The baseline extraordinaire trains fulltime at the Nick Bollettieri Tennis Academy. I watched the U.S. Open final on TV last year and the international social media chatter was off the hook as he brought home the championship because he is the first Japanese male player to ever step up and win a Grand Slam tournament. The Burn, Booming Power + Spin Built For Baseliners, retails for $199.00. You will destroy the ball cover, have pinpoint accuracy and boom shots with this innovative Wilson Tennis racket.